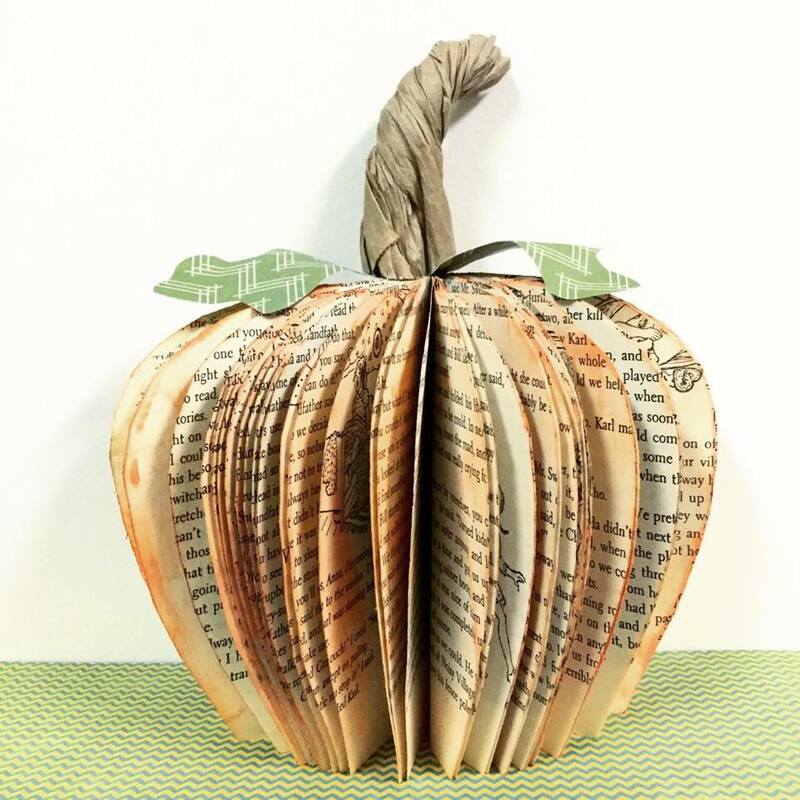 live.life.create.art: It's a Book Pumpkin! Sharing a quick little project that I did the other night while at work. I used a discarded library book and cut off the front and back covers, cut the pages of the interior of the book into the shape of a pumpkin (leaving a portion of the bottom flat so it could stand) and then inked the page edges with orange ink. I used some brown packing paper and twisted it up to create a pretty realistic looking stem and cut out some pumpkin leaves free-hand using scraps of green patterned paper. I think it turned out pretty sweet! I can't wait to put it on display in my teen room at the library for a "Fall Into a Good Book" display.